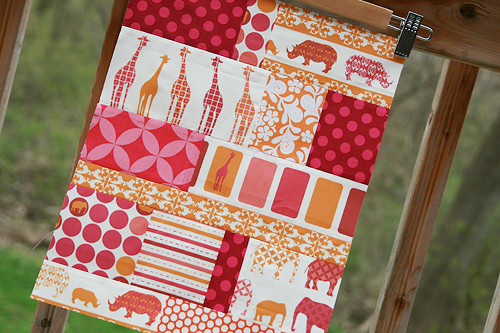 First I want to thank everyone for the pattern love from my Kaleidoscopic Kites quilt. I really hope that if anyone makes a quilt from it, you will send me a photo. I would love to see them! The first block features fabric from Heather Ross's Far, Far Away I collection as well as bits and pieces I somehow have of F lea Market Fancy. And speaking of Heather Ross, she just unveiled her fabric for Far, Far Away III. 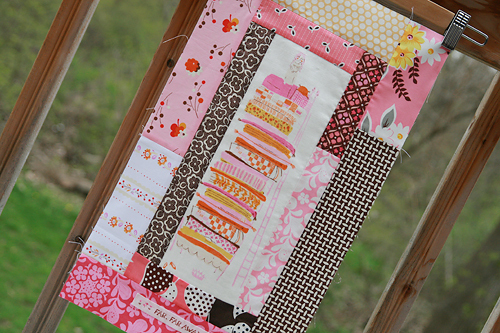 The second block was made mostly with fabric from Laurie Wisbrun. I hope everyone had a happy Easter holiday. I had to share these pictures with you - I figured anyone with a toddler and/or preschooler could commiserate. These are just a few of my failed attempt to photograph them together. Oh well, maybe next year!